The Ponytie is a fast and easy way to get a quick stylish up-do while you're running out the door! 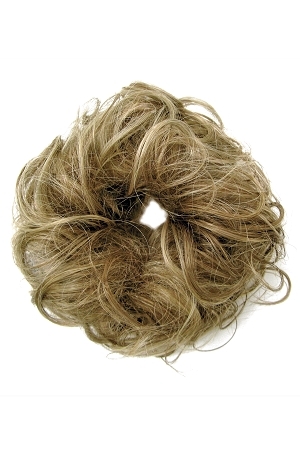 This curly hair scrunchie is lightweight and on the go. You'll never have a plain ponytail again! Whether it's for fun, fashion or adding volume, our collection of hair pieces and extensions is a great and easy way to enjoy everyday life with style and confidence.